How big a sports fan are you? I've been around NBA people all of my life. I tried to buy the Lakers while I was at Sony. I worked very hard on it. I worked at buying the Oakland A's and thought we had the deal done. I've always been around sports. I had a hockey team for five or six years, and we started building minor-league baseball teams all around the country. I've been in sports a long time, and sports is really an entertainment vehicle. We intend to win, but you also have to provide the service of entertainment to the audience. this is where the red flag raises... i've had enough entertainment in the last 16 years... give me a muthafukken ring... it can be detroit style... I WANT A FUKKEN RING!!!! Nellie to ESPN.com: "I'm excited about the new ownership. I think this team needed that kind of change." With no Ellison we just wen't from a s**t sandwich to piss in our Cherrios. loyaltyisacurse wrote: With no Ellison we just wen't from a s**t sandwich to piss in our Cherrios. Unbelieveable!!! 16 freaking years of hell with Cohan and today we are FINALLY free and "you are not a happy person". man, tough to please. Today was one of the top 5 moments for Warriors fan in the last 20 years. WE GOIN TO THE SHIP!!! Assuming this deal goes through ... maybe owners are concerned Cohan took a lower offer .... we are trading the worst front office dweeb in Rowell for the very competent and has an ownership in Joe Lacob. Lacob wants to make money and win ... only the Warriors and Clippers have had a commitment to profit first in the NBA ... but I expect Lacob and company to have a short honeymoon with the impending lockout. As for Nellie, it makes sense to give the job to Keith Smart for a lot of reasons ... you are already paying Nellie, Smart would field a more conventional lineup, some continuity with the players and he will coach his tush for a rare head coaching position. Besides it will take time to get a GM in place and they should make the call on the coach of the future. I must admit, i love that Lacob sounds like a real basket man. 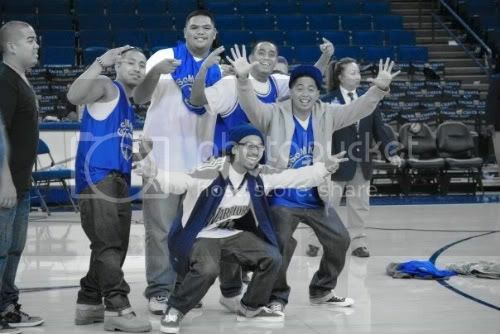 Quazza wrote: I must admit, i love that Lacob sounds like a real basket man. Welcome to the family. While Joe appears to have been around this block before, you are both embarking on what should be an incredibly fun, albeit incredibly public and stressful ride. What makes the Warriors special in both the Bay Area sporting community and the NBA as a whole is an incredibly passionate, loyal, and typically savvy fanbase. Having fans that are loyal and bring one of the best in-game atmospheres to Oracle Arena brings with it the benefits that had to be at the center of your mind when it came to purchasing the team, yet they also bring some unique challenges when it comes to the next few steps in the transition. First, be clear and honest about your connections to the Warriors and basketball in general. Joe, your interview with the venerable Marcus Thompson II went a long way in this regard- being a ten year-plus season ticket holder is something fans can relate to. One or two stories about particularly memorable experiences, either big moments or small, can fans a sense of your previous involvement with the team. Second, don’t sugarcoat the previous ownership reign. This looks to be harder for you guys than for the oft-rumored Larry Ellison if the bits I have heard about Mr. Lacob having a relationship with Chris Cohan are correct, but it is more than necessary. There is no bigger pitfall in this PR war than defending or siding with one of the least popular owners in sports. It would be the equivalent of a scientist coming out strongly as supporting Copernicus’ heliocentrism. If saying too much negatively on this is uncomfortable, don’t say much. 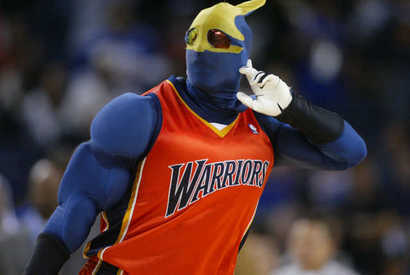 However, any positives towards Cohan would not yield dividends in any corner of Warriors fandom. Third, be candid and clear about the context of the sale from your end. While this may not have been an anticipated necessity, clearing the air about the process could accelerate the next steps and really foster some goodwill. Again, Joe’s interview with MTII hit the right stride with this and the facts surrounding a largely closed bidding process work in your favor, yet inertia alone will not do the work that a little openness and candor will. Think of it like Tiger Woods or any of the baseball steroid stonewallers- making sure your side is out there and the truth can take away the clouds that are making many of us uneasy. In the long term, those concerns should be relatively short-lived and non-determinative of the legacy. That said, getting the fans that are already into it fully on board should help in the immediate and give a PR buffer which just about every new owner will need down the line. -Keep your PR staff. As someone who dealt with these guys and gals a good deal over the last year, the work they have done has been simply incredible. Raymond Ridder and his crew are excellent at their jobs and can be a major asset if used correctly. Considering what they have done with a team that has only made the playoffs once since I was in elementary school, imagine how much better it can be with a team worthy of these fans. -Be aggressive in seeking out the right talent from a front office perspective. When it comes to finding a new general manager and coach, it is better to swing for the fences and miss a few balls than it is to square up and either bunt or try and get a bloop single. Strange events have taken serious talents like Kevin Pritchard (who played 12.5 minutes a game on the 90-91 Warriors, by the way) and put them into the market at exactly the right time for you guys. Even if the elite personnel guy end up going elsewhere, going after them will show both the fans and the rest of the league that you mean business. Matt Steinmetz’s work about Mr. Guber’s connections with Eric Spoelstra [link: http://www.csnbayarea.com/07/15/10/Spoe ... eedID=2799] are exactly the right way to go about this. -Have many voices in the personnel process and only one decider. One of the things Mr. Lacob’s old team has done incredibly well is bring stats-centric thinkers into the fold while not relying on them exclusively. While this team has done an excellent job picking up talents off of the NBA’s scrap heap, proper drafting and player evaluation would eliminate this as a necessity for keeping the team afloat (well, as afloat as they have been). While the methods and metrics for identifying strong investments are totally different in technology capital and human capital, aggressiveness and top-notch talent through the draft and sleeper free agents is what keeps great teams at the top in a league with a soft salary cap and favorable rookie contract scale that will only get better for owners with the new CBA. Adding onto the great staff, there must be someone who the buck stops with. In an ideal world, this is a basketball person instead of an owner- as NBA fans, I hope you have seen what Michael Heisley’s meddling has done to the Memphis Grizzlies. Helping shape the team is fully within your rights- you’ve paid for it. That said, remember that having a single person (like Darryl Morey or Danny Ainge) to synthesize all of these differing and competent opinions reduces clutter and stabilizes the message. -Build around Stephen Curry. You are lucky enough to have bought a team with a blossoming talent who is still under team control on a reasonable contract for at least four seasons. While some argue that excellent point guard play does not lead to championships, the fact of the matter is that elite PG’s get their teams to the playoffs. Local products Jason Kidd hasn’t missed the playoffs since he was 23 and Steve Nash has only been left out once in a season he played more than 57 games. Curry is a phenomenal talent with an insane amount of room to grow in terms of running an offense and leading a team. Adding David Lee and having some better luck with injuries should help, and using Curry as the lens to view prospective moves both in terms of on-court talent and coaching/personnel can get this team back to relevance sooner rather than later. -Remember and embrace the loyal fans. I understand that the team is means for profit generation as well as pride, entertainment, and everything else. Keeping that in mind, remember that the fans are what make the Warriors special just as much as the legit media market and wealth base. I am sure that Joe remembers the atmosphere of both the We Believe team’s games and more recent barn-burners like the game against the Celtics the day after Christmas in 2008. In an area with a wide variety of incomes, business choices that price out the diehards would eviscerate the very core of the experience. -Embrace the positive history the Warriors have. Ray Ratto discussed this in his piece, but I want to focus more on the team nearer and dearer to my heart: Run TMC. Each one of these guys is beloved by this fanbase and takes us back to an embraceable though all-too-short period in recent Warriors history. Having some sort of Rum TMC night (potentially with some corporate support by our friends at adidas) along with bringing back Tim Hardaway, Mitch Richmond, Chris Mullin, Sarunas Marciulionis, Mario Elie, and even the aforementioned Kevin Pritchard back to Oakland and Oracle Arena would be a jolt for this team and ideally the larger Bay Area sports community as well. Keeping all that in mind, I wish you the absolute best of luck. These fans deserve a winner and it’s high time they got one. "Yes, that was very, very fun. That's what it is all about. That was so exciting. Our goal is that we don't always think about the Lakers as the prime Western franchise. We want the Warriors to be that. San Francisco is every bit as big and as important a market as L.A. It doesn't have all of the Hollywood stars, but it has a lot of things that they don't have down there. We've got a lot of big movers and shakers and a lot of creative people. We have a chance to do big things here. Our goal is to put ourselves at the same level as the Lakers. It's going to be a road up. I realize it's not going to happen overnight and it's not going to be easy, but we want to be facing the Celtics in the Finals. By the way, I mean that literally"
I have been posting that maybe Cohan didn't want to sell to Ellison. My concern was that he didn't want the Most Interesting Man to upstage him and make him look bad in comparison. Maybe though, to be fair, he simply didn't think Ellison would be a good owner. Maybe Cohan really tried to do the right thing for the fans. Or maybe for his employees. As this is ready to post, Ratto is mentioned on tv saying the same thing, that Cohan didn't want to sell to Ellison and that we won't know for awhile why. In any case, the new owners are local, seem committed, appear to be real fans of the team and know it well. Probably will be a fine ownership group and I am drinking Wild Turkey as a personal statement. What a sacrifice. carlgo wrote: I have been posting that maybe Cohan didn't want to sell to Ellison. My concern was that he didn't want the Most Interesting Man to upstage him and make him look bad in comparison. Maybe though, to be fair, he simply didn't think Ellison would be a good owner. Maybe Cohan really tried to do the right thing for the fans. Or maybe for his employees. My friend was telling me that he read articles about Ellison's bid to up Lacob and Guber was submitted too late. I'm not sure when bidding was supposed to end or if there was a time limit to outbid the current bid, but it seems Ellison just missed out. Hard to say that Cohan would turn down more money if Ellison had offered it (I remember reading a post saying that Ellison was saying he was the highest bidder). I'll see if I can get a link of that article my friend read. ahhhh I see...one last COHAN FYOU to these long time loyal Dub fans. would've been nice to have had deep pockets Ellison, but hey any change is better than 16 yrs of cohan crap and the new ownership looks alright to me. thanks Cohan, glad its YOUR VERY LAST WARRIOR DECISION. AHHHhhh that's so nice to say. see ya Cohan. so long suckaa!! today is a great day. Cohan has sold, the wicked witch is dead. July 15 is a new Holiday as far as I'm concerned! SOO LONGG SUCKA!! Warriors future is looking bright.